A mobile version of the most popular football game series, developed by EA Mobile. Compared to the original, the gameplay was adapted to the specifics of mobile devices, which called for some simplification. 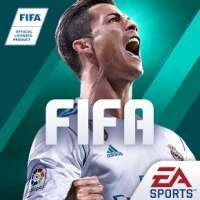 FIFA Mobile for AND, WP and iOS is an arcade football game. It utilizes the free-to-play model with optional microtransactions. It was created by EA Mobile, a subsidiary of Electronic Arts. FIFA Mobile is a spin-off of the popular franchise. It has been simplified in many aspects, compared to the games released for PC and consoles. The gameplay is arcade-like and allows to control one team member at a time during the games, although it also features options to manage the whole team and choose an appropriate strategy. The game utilizes a well-made match engine, which makes the games realistic and dynamic. It can be used in both singleplayer and multiplayer modes. Additionally, thanks to the official license, the game features 30 leagues, 650 teams and over 17000 players. Compared to the previous installments, FIFA Mobile for AND, WP and iOS features many changes. One of them is the new Attack Mode, in which you play short matches, less than two minutes long. At first, you have to choose the right tactic for your team, and then control your players only when attacking the goal. Everything else is cut and calculated, which allows you to concentrate on scoring. Apart from that, the game also includes regular special events, referencing the real-life football events. Usually, they involve minigames, and you earn various gifts for playing them. The social aspect of the game has also been expanded. You can start your own league, which is analogous to an MMO game guild. In those leagues, the players work for their collective score and compete against other leagues in online rankings. Also, the game includes the Ultimate Team mode, in which you build your dream team, known from the previous installments. The developers built a new team creation system and simplified the team management. Additional information (WP): Internet connection is required.